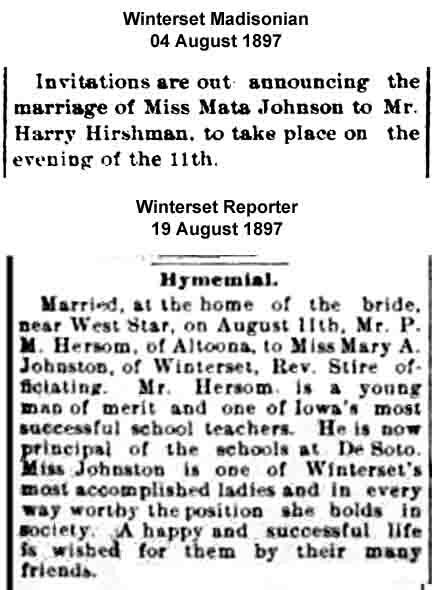 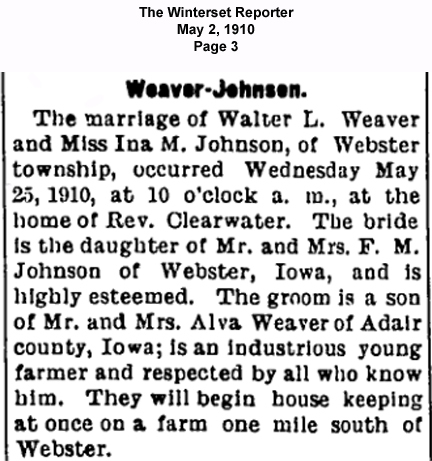 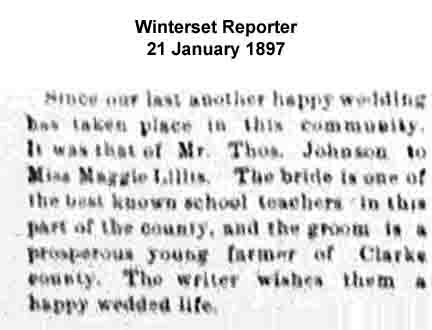 Note 1: Click on date to see wedding info. 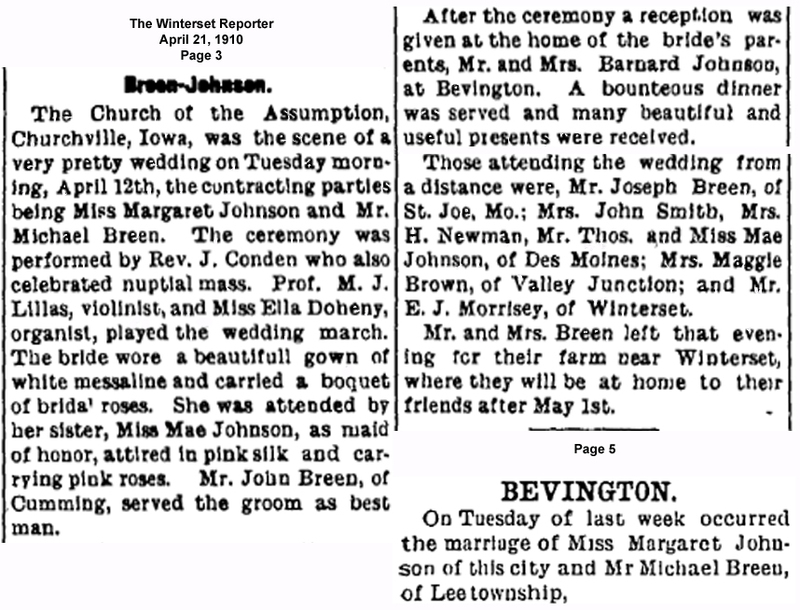 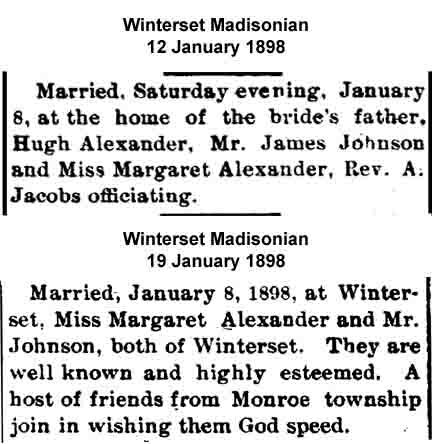 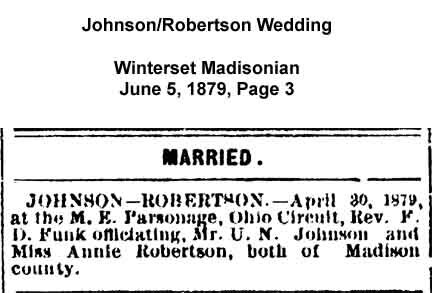 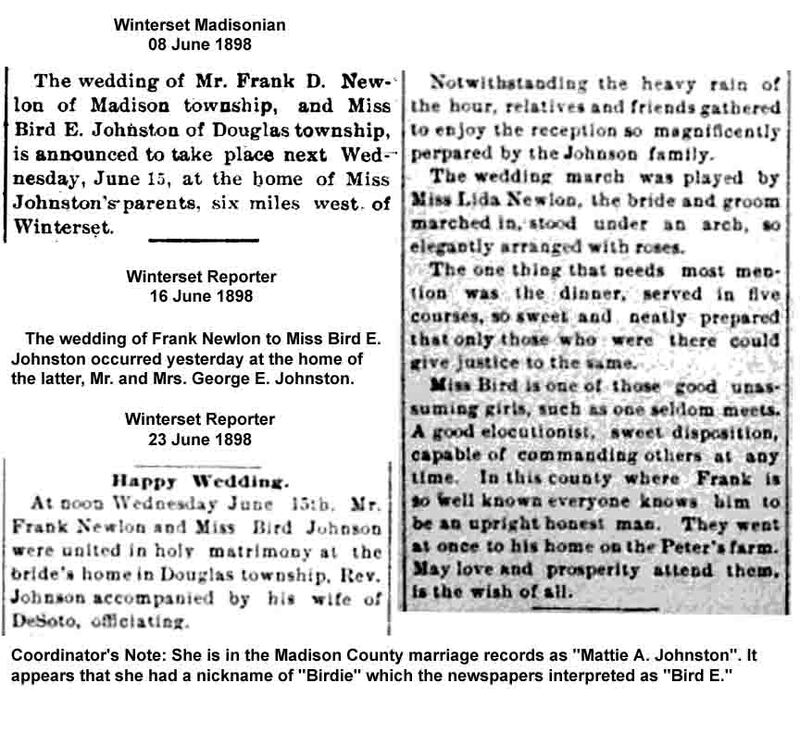 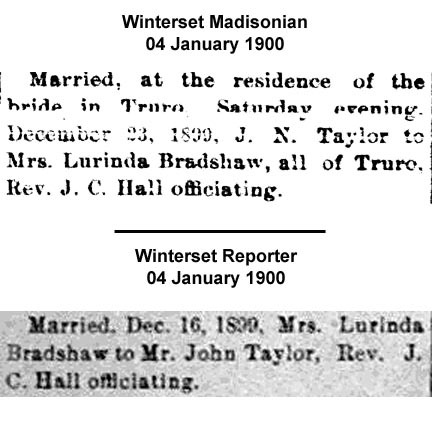 Note 2: Date highlighted in green - marriage not in Madison County but involved Madison County resident(s). 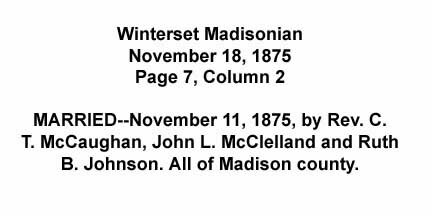 Note 3: Information in red font has been added by the transcriber to clarify the records and is not part of the original Madison County documents. 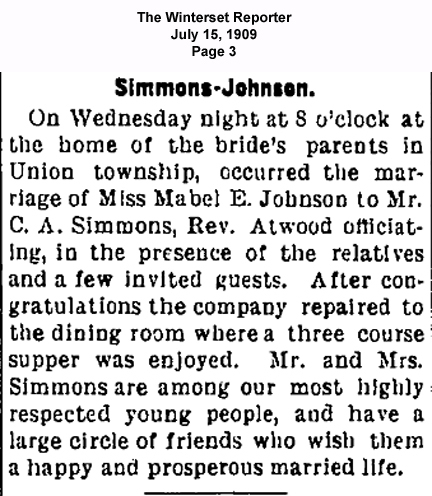 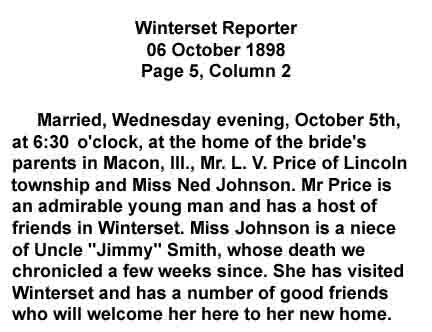 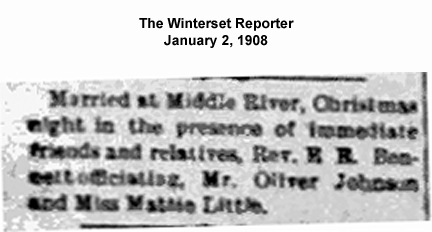 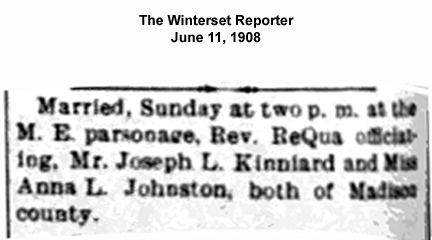 08 Sep 1913 Johnson, Charles E.
29 Jun 1915 Leggett, Ruth E.
This page was last updated Wednesday, 03-Oct-2018 09:48:06 EDT .